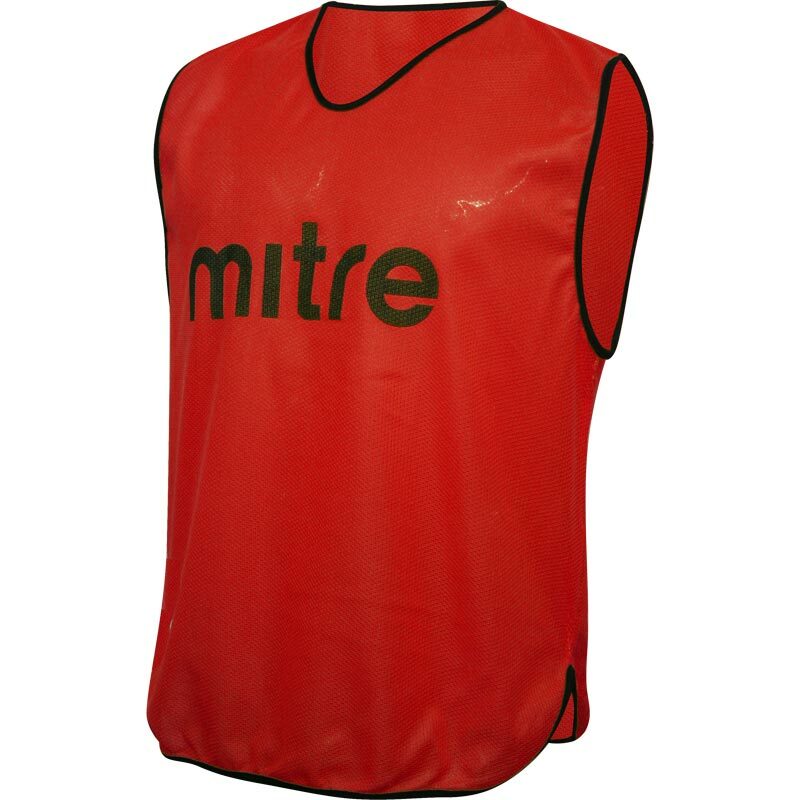 The Mitre ® Pro Training Bib Red is an excellent value bib. Good bibs. Cant fault it. Although I messed up with sizes and went for SNR thinking it was an adult size... Glad team appreciates loose bibs :) Check your size before ordering. Bibs are superb quality and do the job required for my 7 -aside team. Excellent service and speedy delivery from Newitts. Just what we needed, lightweight, nice size, nice price and feel to the material. I would recommend these training bibs to anyone without hestitation. Received bibs on time, hassle free. High quality as promised. No trouble with transaction, delivery or product. Would recommend.